X-ray and Ultrasound | Full Circle Vet Alt. What x-ray and ultrasound capability do you have? At Full Circle, we have amalgamated our diagnostic imaging services with PetWorks. We all share the same high-resolution digital radiography (x-ray) equipment. As well, Dr. Trudeau performs abdominal ultrasounds. Additionally, we have Dr. Rist visit us periodically for specialized cardiac and abdominal ultrasounds. 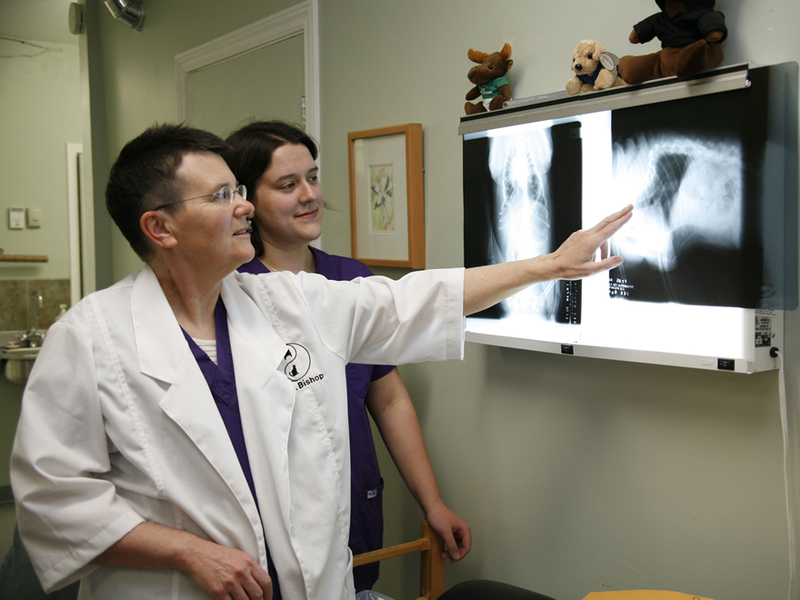 How are x-rays used in veterinary medicine? X-ray or radiograph images are taken to diagnose problems common to dogs and cats, for example, arthritis, abnormal organ size, foreign objects in the abdomen or internal masses. Radiographs provide a flat image; certain structures like adrenal glands are difficult to locate on an x-ray. How is ultrasound used in veterinary medicine? Ultrasound differs from radiography in that the individual images are cross sections through the body. Ultrasound allows for quite detailed anatomical examination of internal structures permitting visualization of small masses that an x-ray may miss. Motion is also seen on ultrasound and this is important for evaluating things like heart function and gut motility.